Easy access to major routes I-81 and SR13. Many fast food restaurants are within walking distance. 24 hour Denny's restaurant attached to hotel. 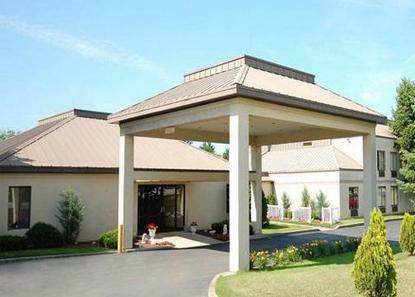 Located just off Interstate 81, the Comfort Inn of Cortland is the perfect choice for business and leisure travelers alike. Voted the area's favorite hotel, the Comfort Inn features free deluxe continental breakfast, warmly appointed guestrooms (25 inch TV, expanded living space, coffee makers, irons/ironing boards, dataport phones), an attached Denny's Restaurant open 24 hours, personal hospitality, and affordable rates. Pet accommodation: 10.00/stay per pet.